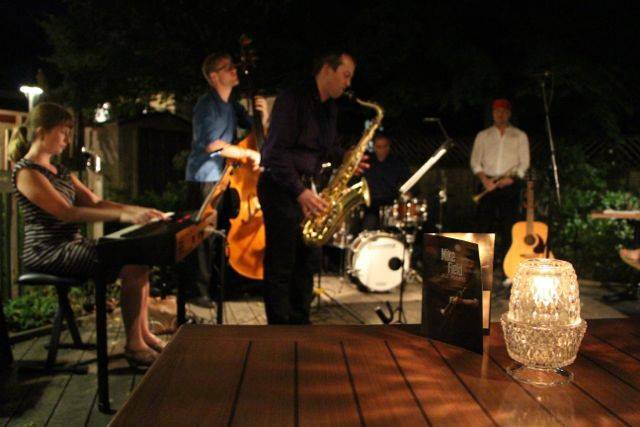 The Music Niagara concert was wonderful - we played on a beautiful deck outside The Epicurean restaurant - and the crowd there is always super attentive, which is great. Newmarket was also excellent - we managed to arrive just as the thunderstorms were ending, so there were lots of people in the audience and under the sun while we played. Then just as we were packing up, the rain started again and the next band, Sultans of String, unfortunately got mostly rained out. 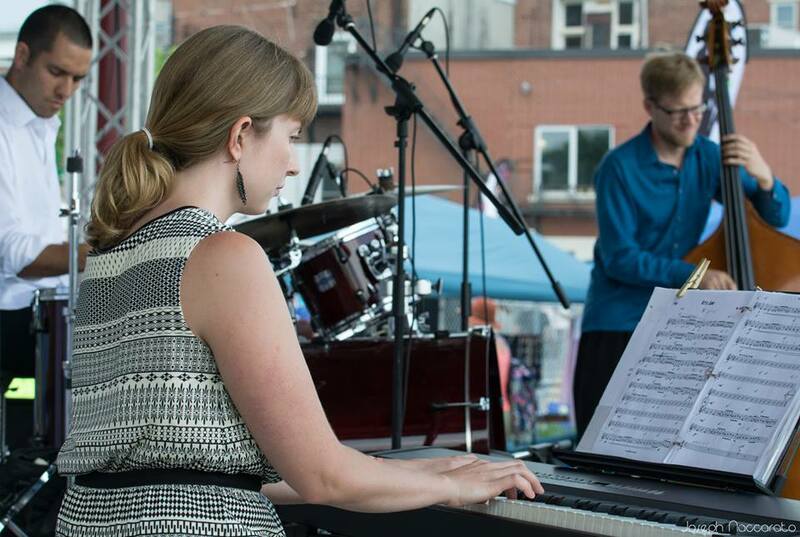 We definitely enjoyed seeing how the Newmarket Jazz Festival is growing. This was only its second year and it's already looking really good. Hopefully there will be many more years to come! Finally, here are a couple shots from Harlem Restaurant and Gate 403, where we played last weekend. 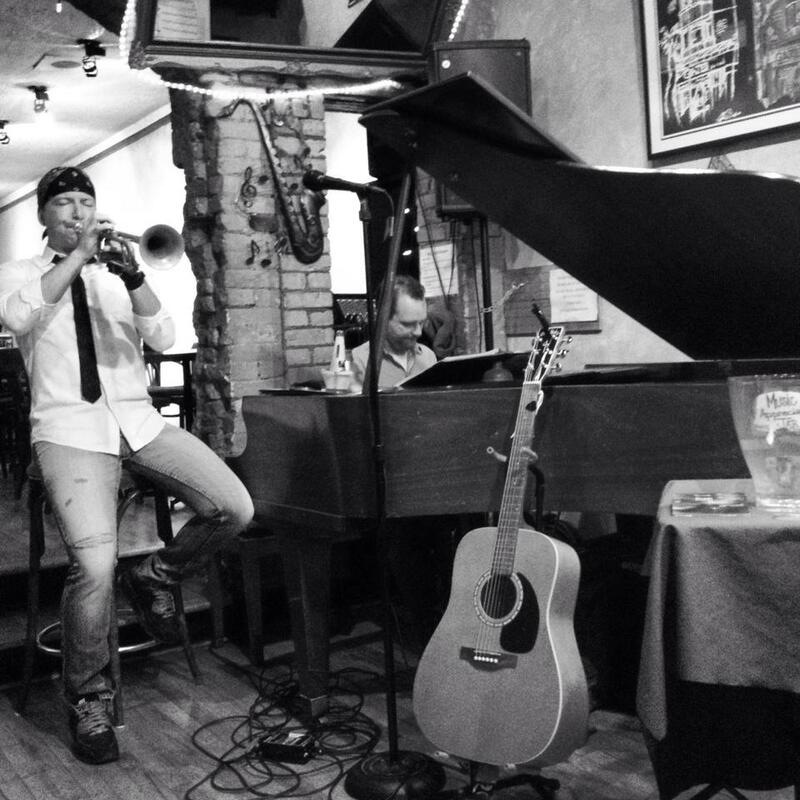 At Gate 403, we did just a piano-trumpet duo with the amazing Ali Berkok.